Happy Father's Day. Not sure I will see my dad today. He is fishing, I might call him. Me and the kids have a few things planned for their dad. I got to see the Wetaskiwin Quilt Show this past week with mom and a few quilt friends. We had lunch out and took a look in one of the better clothes stores too. I picked up a few fat quarters at the quilt show. I love the bright pink and brown dots, well I like them all. 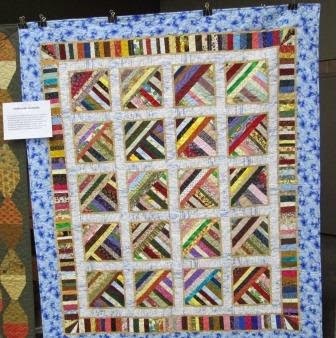 This is one of the quilts from the show. I think it says it was a group quilt. It was for one of there charity groups. Love the strings. I also got some good mail this week. 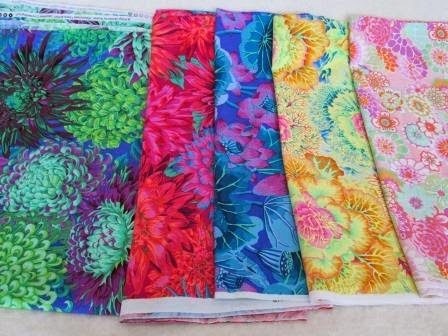 I had ordered some Kaffe Fassett fabric on sale and it is here. 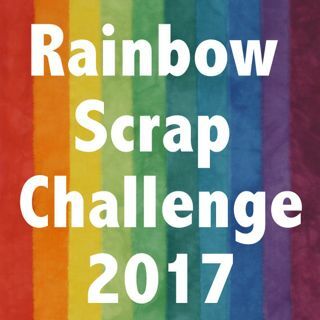 The Green and purple on the far left maybe a backing some day. I think I have enough if I do not cut it up too much. Thanks you all for the great comments about my slump year on yesterdays post. 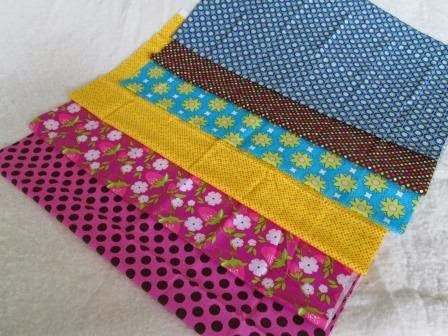 Love those Kaffe fabrics Cathy- I have a box of Kaffe pieces waiting to be made into a quilt. Oh the someday list keeps on growing.. I had hoped to take in the Wetaskwin show but just not enough time at this time of year. We went out to look at plants at Holes Enjoy Center. Oh the flowers were so beautiful but we couldn't decide what bit of color we wanted to put on the front deck. Such a wonderful sea of color there too..